Matt Baggott said it was a ‘unique’ summit in that it took place in an area where there was a ‘severe terrorist threat’. THE HEAD OF the PSNI has described this week’s meeting of world leaders in Fermanagh as ‘the most peaceful and friendly’ G8 summit in history, and praised his officers for their ‘meticulous planning’. Work to dismantle the ‘ring of steel’ erected around the Lough Erne resort that played host to the likes of Barack Obama and Vladimir Putin over the last few days is now under way, after the last of the leaders left last night. It has taken place in an environment where there is a severe terrorist threat, and also next-door to an open European border where that threat can emanate from and that is still very real, in spite of our efforts. Months of planning was undertaken to prepare for this week’s summit. Around 8,000 police officers were on duty during the event, including some 3,600 drafted in from other areas of the UK. Around 900 gardaí were assigned to police border areas while the summit was taking place. Speaking at a press briefing this afternoon, the chief constable said it was too early to say how much the security effort would cost, though he admitted it would be more than the original estimate of £50 million. Peaceful protest was facilitated by police , with no reports of any disorder. This is testimony to the preparatory work carried out by officers in the run up to the G8 summit and demonstrates our commitment to working with groups who wish to have their voices heard through lawful, peaceful protest. There have been two G8-related arrests In Northern Ireland since last weekend – one in Belfast and another in Fermanagh. This morning, two men were arrested by police investigating dissident Republican activity in counties Down and Armagh. There was also one arrest in connection with dissident republicanism in Navan. A man in his 30s was detained on Monday after three firearms and ammunition were recovered at a business premises in the town on Sunday evening. 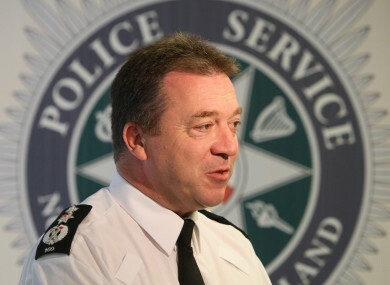 Email “PSNI chief praises G8 policing operation as 'most peaceful in history'”. Feedback on “PSNI chief praises G8 policing operation as 'most peaceful in history'”.